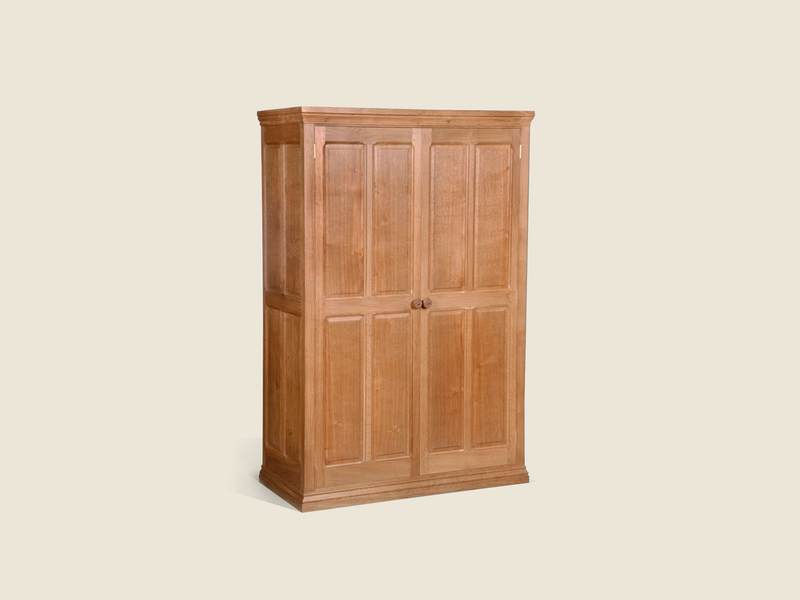 Wardrobe shown in "medium" fume English oak. Shown on a plinth base with carved “rose” door knobs, 4 panels in each cupboard door and matching panel arrangement at each end. The height and depth of the single internal shelf and hanging rail may be specified, or additional hanging rail and shelving can be supplied. The wardrobe can also be custom-made to size and we also supply fitted wardrobes.